Throughout the history of the organization, Tomasino has always held high artistic standards, making the musical output of WPCS akin to that of a professional ensemble. 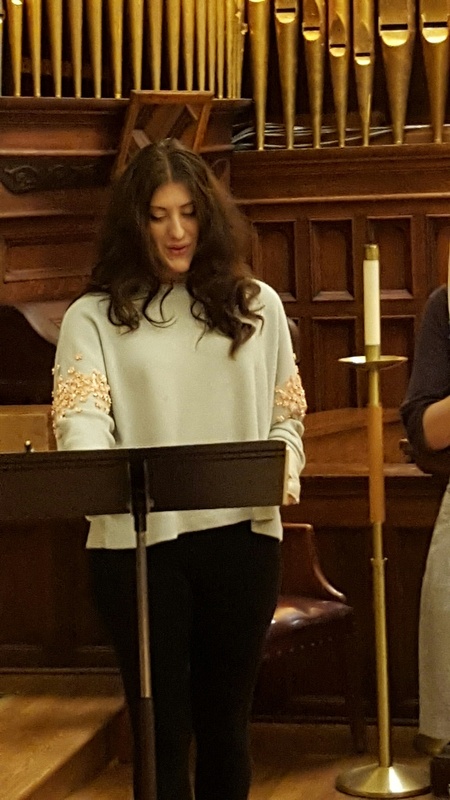 The auditioned all-volunteer choir attracts more than 100+ audition applicants a year which is a testament to the need it fills within the Chicago singing community. A champion of living composers, Tomasino also ensured the choir’s commitment to help build the choral cannon and commission composers from Chicago and around the country. Most importantly was his commitment to building community through choral music which is apparent through the choir’s accessible ticket pricing, free performances around the city, community organization partnerships, and creating group singing experiences whenever possible. 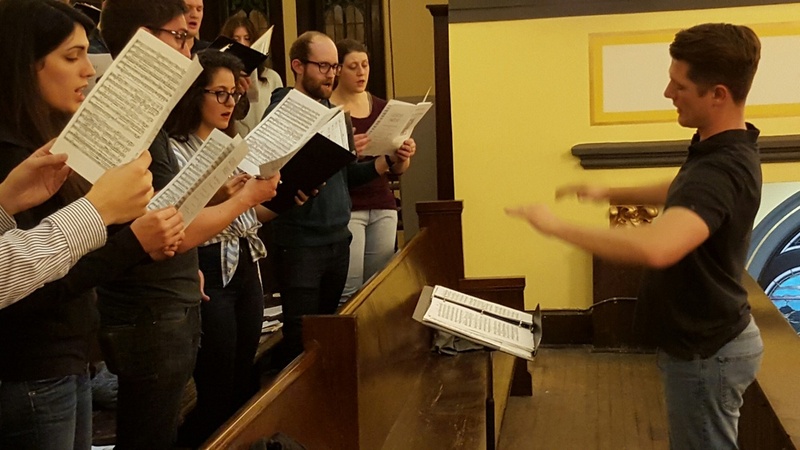 Wicker Park Choral Singers is an all-volunteer choir with a mission to build community through choral music. 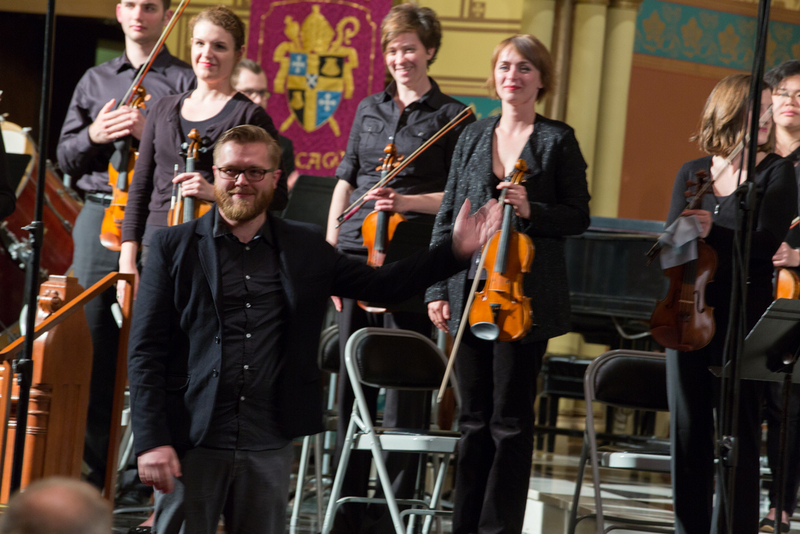 WPCS has performed in spaces throughout Chicago including the Chicago Cultural Center, Fourth Presbyterian Church on the Magnificent Mile, St. Vincent de Paul Church, Garfield Park Conservatory and outdoors in venues like Millennium Park, The 606 Trail, Wicker Park, and the Humboldt Park Boathouse. The group has even gone over the airwaves reaching millions of households through TV, radio, and internet on Chicago Fox Morning News, WFMT 98.7, WGN Holiday specials, and even the Oprah show. 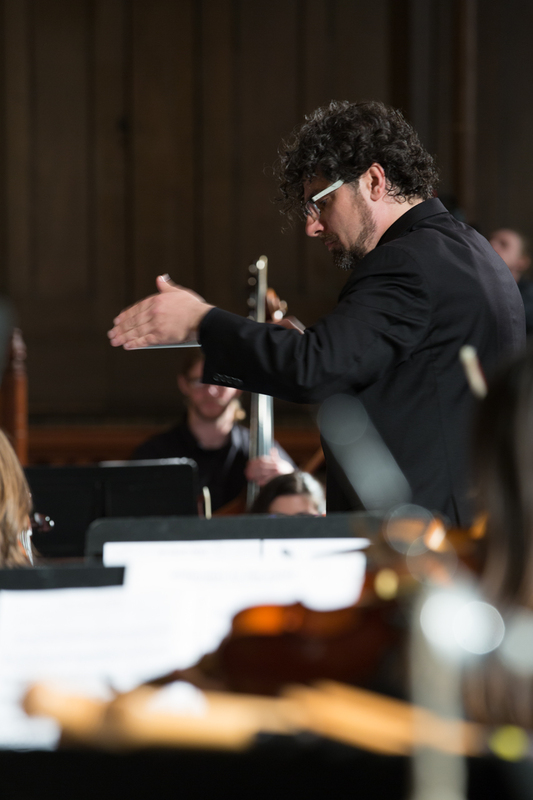 WPCS is always striving to expand the choral art form and explore sounds that reflect what we are living today by commissioning up-andcoming composers, performing nine world premieres of new choral works. The group is also dedicated to building community with other Chicago choirs and has begun a new concert series, ChicagoSings Showcase, that features various choirs from around the city with the goal of expanding audiences and sharing resources to make the choral community stronger. Wicker Park Choral Singers is a 501(c) (3) non-profit organization. Deeper look into "The Cosmic Process"
For me, the science of our planet and universe has always had a spiritual and emotional side - not just dry facts and numbers but a powerful reminder of our humanity and the brief nature of our lifetimes. The study of the cosmos had a similar meaning for the ancient Greek philosopher Empedocles. He proposed a theory that all matter was made up of a mixture of fire, earth, water, and air bound together or pulled apart by the forces of Love and Strife, respectively. He also devised a moral and ethical system based on this theory. How should we treat fellow living beings made of the same matter as us? Is death truly final? 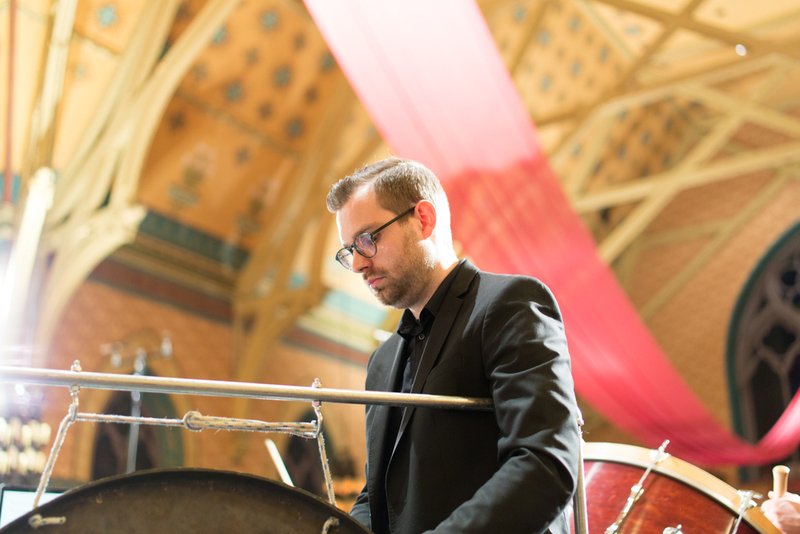 Translated from Ancient Greek - Text of "The Cosmic Process"
We sat down with composer Eric Malmquist, whose work Blemish'd Muse will receive its world premiere at our upcoming May 13 concert with the Chicago Composers Orchestra. 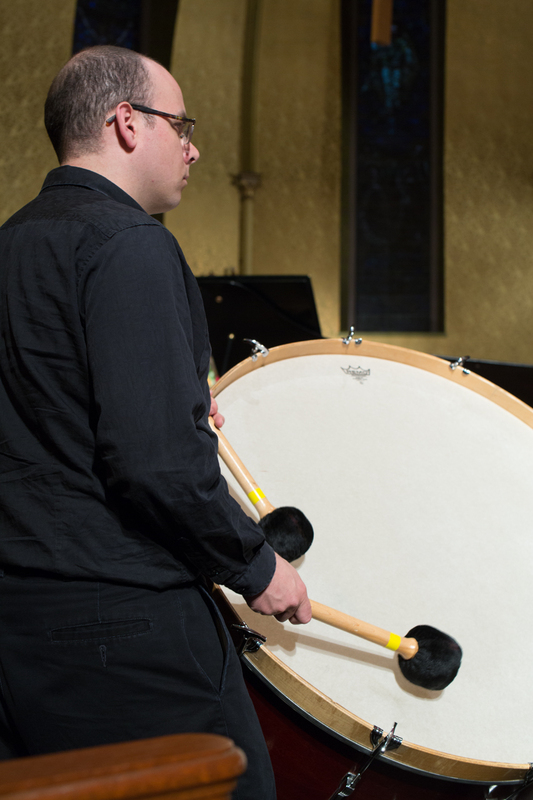 Eric is a Chicago-based composer currently residing in the Rogers Park neighborhood. WPCS: When did you start composing - and what or who were your early passions and influences? Eric Malmquist (EM): My first little pieces were written while taking piano lessons in grade school, but I started composing in earnest in high school. Gershwin's "Three Preludes" was a big influence at the time, so my music sounded very Gershwin-y! Luckily I found my own voice in college, especially after being exposed to the strange wonder of medieval music and contemporary composers. WPCS: What do you usually start with when composing a new piece? EM: When it's vocal music, the easy way to start is finding the right text! A text often offers an architecture for the form and narrative of a piece. For both instrumental and vocal music, I often think very hard about what I need to express, and how to translate that into music and communicate it to an audience. I find that starting a piece and hitting the exact tone I want to convey is the most difficult part of the process. Sometimes it's more about discovering the way a piece wants to be - after that, it's pure fun. WPCS: The texts of your new work, Blemish’d Muse, draw from the works of Anne Bradstreet, a Puritan and the first female writer to be published in colonial New England, Phillis Wheatley, a Boston slave and the first African-American female poet to be published, Walt Whitman, and Carl Sandburg. Why did you choose these four poets and their respective poems? EM: I chose these four poets because I wanted to include a broad range of American poetry history, while also highlighting individuals who were on the edges of American society in their periods by reason of their gender, race, sexual orientation, or political views. I wanted the piece to celebrate art-making and passion and selected the poems accordingly. In the end I intended it to be a very American work, celebrating American poetry and poets with an inclusive spirit. WPCS: What does a composer actually do when they create a new work? What does it entail? EM: Writing music (for me, anyway) first involves thinking about music a lot. The first step in composition is coming up with an idea, of course, and that can happen anywhere - I actually do a lot of my work on the CTA El train with pen and paper. I also do some composing on a piano. Eventually, all the scraps and sketches are compiled together into music notation software, carefully edited, reviewed, and eventually e-mailed to the ensemble. For this piece, I started with writing music for the choir. I then wrote a piano accompaniment that would serve as a basis for the orchestra music and for rehearsals. That piano music then was given to the various instruments of the orchestra. I often am asked if I have to play every instrument to be able to write for it - the answer is no, fortunately! I do know a lot about these instruments, and I can always ask my musicians friends for their advice. When I finished orchestrating and polishing the full score, I created part scores for each instrument so each player only has to read and follow their own line. The choir has a score with all the choir parts plus the piano part so they know what the orchestra is doing, too. In very brief, being a composer involves extreme attention to detail but also a lot of joyful creativity. 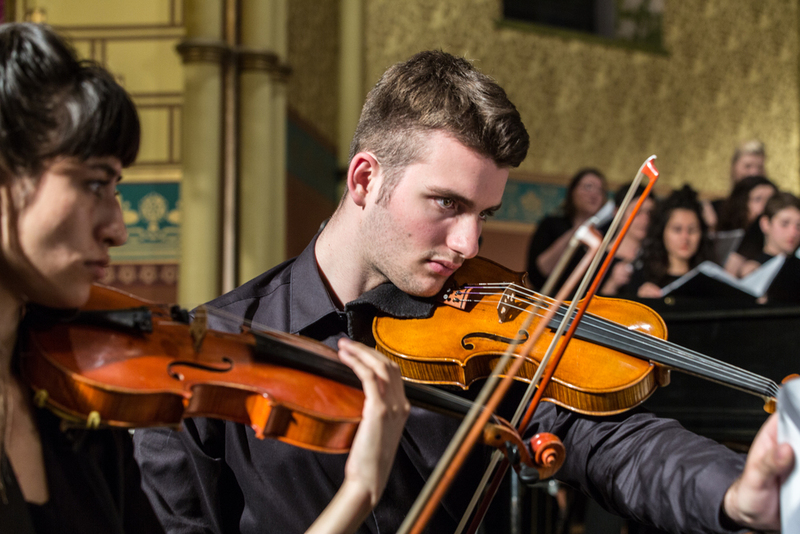 Here are a couple of Eric's works performed by the groups you will hear at our May 13 Concert. 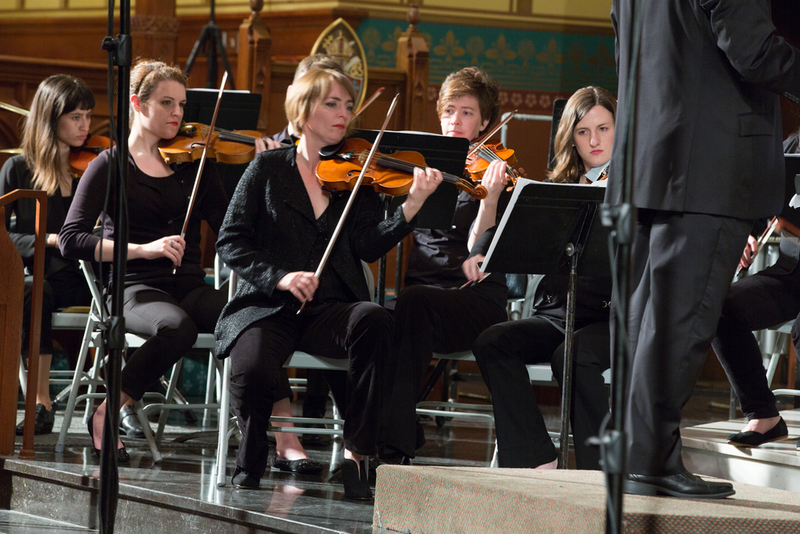 First is a work for orchestra performed by the Chicago Composers Orchestra. The second is a work that our choir commissioned and performed last season. The following reflections were written by students who take part in the music program at UIC College Prep. This past September we were honored to host the esteemed University of Zululand (Unizulu) Choir for a workshop with their director, Bhekani Buthelezi, followed by a concert open to the public at Wicker Park Lutheran Church. Our singers learned about traditional South African music composition and even created a song together on the spot! ABOUT THE CHOIR: The choir was established in 2001, bringing together singers from all areas of study throughout the University. They sing composed choral repertoire, Afro-Gospel, Afro-Jazz, Afro-Soul, Traditional, Indigenous Music, and even Opera. They were National Champions in the 2013, 2014, & 2015 Arts and Culture choir competitions. They have been recognized as National Champions by both the Vaal Choral Music Association and Gauteng Choral Music Association. In 2014, the choir got the opportunity to perform with South African President Jacob Zuma, and have also performed for his Majesty, the King of the Zulu Nation, Goodwill Zwelithini kaBhekuzulu. Most recently, they are proud to have had the opportunity to tour throughout the United States in September of 2015. I would like to personally welcome you to our 8th season and cannot thank you enough for your support throughout the years. Looking back on our previous seven seasons, there is much to be proud of. We have delivered more than 50 performances, commissioned several new works, and appeared on numerous local radio and television outlets. Most importantly, we have consistently brought people together through choral music in unique and meaningful ways. This coming season will feature high quality music, additional outreach performances, and exciting collaborations with other local artists and organizations. I hope you will join us for it all. As we search for sustainable ways to support our mission of building community through choral music, we have decided to begin charging admission for our concerts. Being an ensemble that has historically offered free concerts, this decision was not made lightly. 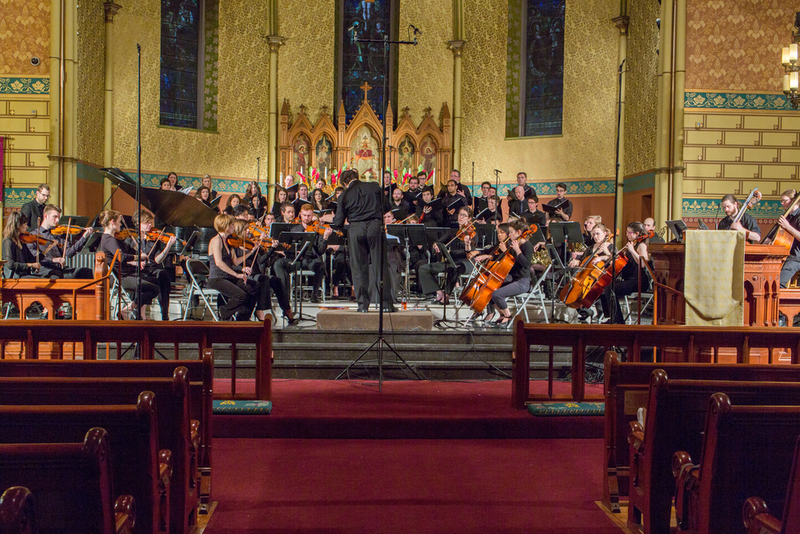 In return, you can expect WPCS to deliver even higher caliber concerts and more outreach activities that remain free and accessible to those in need. Again, thank you for your support and I look forward to seeing you at our events this year. This year we have some exciting changes! We are going to begin charging for ticket admission starting this season. The funds raised from ticket sales will help the choir's financial stability and allow us to grow and do more exciting projects ie: album recording, community outreach events, commission new works. The ticket cost will still be accessible and we hope that you are the first ones to get your seat reserved for our December 5 & 6 concerts.